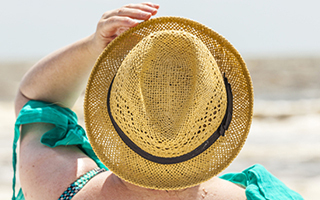 In fact, scientists at the University of Edinburgh in the UK now think it may be possible that the heart-healthy benefits of sun exposure could outweigh the risk of developing skin cancer. In a new landmark study, researchers discovered that sunlight touching the skin causes a compound called nitric oxide to be released into the blood vessels. Nitric oxide is a dynamic molecule that our body produces to help its 50 trillion cells communicate with each other by transmitting signals throughout our entire body. One of these signals instructs our blood vessels to vasodilate or open wider. This improves circulation so that blood can more easily pass through, which can lower our blood pressure. This study was presented in May at International Investigative Dermatology 2013 in Edinburgh, the world's largest gathering of skin experts, and the abstract was published online in the Journal of Investigative Dermatology on April 15. This study is particularly significant for residents of the UK and other northern areas, as the researchers found that rates of high blood pressure and cardiovascular disease rise in the winter and are tied to geographic latitude. For example, rates are much higher in northern Europe than in southern Europe. But in northern Europe, for every skin cancer death, there are approximately 60 to 100 deaths due to stroke and heart disease linked to high blood pressure. So it's certainly worth investigating whether the benefits of sun exposure outweigh the risk. Previously, many researchers believed that sunlight was primarily beneficial because it helped humans produce vitamin D, which is also available in supplement form. However, although increased vitamin D levels were linked to lower cardiovascular disease rates, oral supplements didn't show a similar effect. Now, this study shows that the body's production of nitric oxide is separate from production of vitamin D.
To demonstrate this, researchers examined volunteers who sat under sunlamps for two 20-minute sessions. In one session, the researchers gave volunteers both ultraviolet (UV) rays and heat, while in the other, they gave the volunteers only heat, but no UV rays. Participants' blood pressure fell only with exposure to both the heat and the UV rays, and the reduction lasted for approximately 50 minutes. Vitamin D levels did not change. The team is planning to continue investigating the benefits of sun exposure and weighing them against the risks. But for now, it looks like your next day at the beach may not just help your mental health - it will be good for your heart as well. But what if you can't get into the sun? Many people are highly sensitive to the sun. Some have skin cancer (or have had it) and don't want to encourage it. And others are homebound. For whatever reason, if you can't get into the sun, there's another way to lower your blood pressure using nitric oxide. The supplement CircO2 increases your body's available nitric oxide, improves your circulation, and lowers your blood pressure. It's easy to use and is highly effective at lowering blood pressure. Journal of Investigative Dermatology advance online publication 20 February 2014; doi: 10.1038/jid.2014.27; April 15, 2013. P.S. 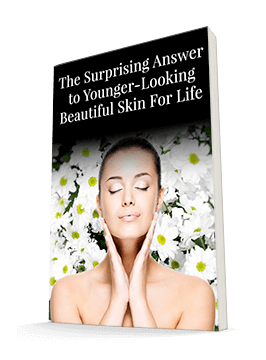 As a token of our appreciation for being our valuable customer, we'd like to give you a special report that uncovers the answer to younger looking, beautiful skin for life. All you have to do right now is click the "Like Us On facebook" button below to become a fan of our Facebook page and get instant access to this report. In addition, you'll receive regular articles from Dr. Janet Zand, formulator of Systéme 41. You will also find posts, success stories, and special deals offered only on Facebook. And you will be able to share interesting information about skin care with your family and friends. See you there! Click the "Like Us On facebook" button below.